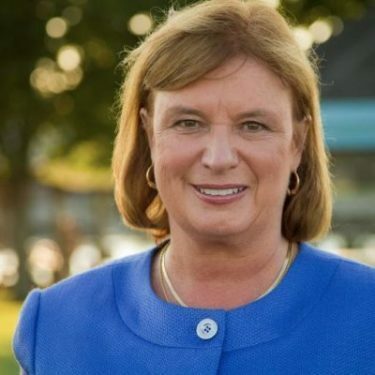 Congresswoman Carol Shea-Porter is looking into what happened to a complaint to the U.S. Department of Justice filed by state Rep. Renny Cushing and others two years ago regarding incarcerating mentally ill people who haven’t committed a crime with convicted criminals at the state prison’s Secure Psychiatric Unit. “I am writing to inquire about the status of the response to a complaint submitted by one of my constituents, State Representative Renny Cushing of Hampton, NH,” Shea-Porter wrote in a brief letter to the Civil Rights Division dated May 22. Shea-Porter attached the original complaint signed Aug. 3, 2016 by Cushing, Arnie Alpert and Maggie Fogarty, co-directors of the American Friends Service Committee and the Treatment Advocacy Center in Arlington, Va., to her letter. “I await your prompt response,” Shea-Porter wrote to the attention of John M. Gore at the Civil Rights Division. Cushing, who has been fighting to stop the practice for years, said he had mentioned the situation to Shea-Porter’s staff. “I’m very appreciative that the Congresswoman would take the initiative to make this inquiry,” Cushing said. He has been meeting with other interested parties and wants to hear more about what people hope will be done before deciding on new legislation to file in the next session about the prison psych unit, Cushing said. The original complaint to the Civil Litigation Section of the U.S. Department of Justice two years ago said it was a matter of great concern. “The State of New Hampshire is systematically and intentionally violating the Constitution, as well as the civil rights and civil liberties of a very vulnerable population of its citizenry. The letter went on to say New Hampshire in fact treats all psychiatric patients who require secure placement in the prison’s SPU, including those incompetent to stand trial, those found not guilty by reason of insanity, those in the prison population who require psychiatric treatment, along with non-criminal patients transferred from the state psychiatric hospital because they require a secure placement. “The SPU is not an accredited hospital and it thus has no external oversight outside the Department of Corrections. It does not (cannot) received Medicaid funds because it is located in a prison, meaning it lacks the oversight and accountability for quality of care that it would have to meet in order to receive federal funds,” the letter states. The case of Andrew Butler, the 21-year-old former star athlete at Hollis Brookline High School, has created renewed public awareness of the state’s practice of commingling mentally ill people who haven’t committed a crime with mentally ill convicted criminals at the prison. The state says it is legal to house non-criminals at the prison if they are too dangerous to themselves or others to house them safely at the New Hampshire Hospital, the state’s psychiatric hospital. Associate Attorney General Anne Edwards told InDepthNH.org recently that commingling mentally ill patients at the prison unit passes constitutional muster. She declined to discuss specific cases. Butler’s friends have rallied around him after it became public that his attorney Sandra Bloomenthal filed a petition in federal court demanding Andrew be transferred to a certified mental health treatment hospital, not the prison. Bloomenthal said in the habeas corpus petition she filed in U.S. District Court that her client has been tasered, locked in solitary confinement 23 hours a day and treated like a prisoner. Andrew’s father, Douglas Butler of Hollis, said he is pleased that U.S. Rep. Shea-Porter, D-NH, is looking into the two-year-old complaint and hopes it will help his son. “I think that’s a great idea. I knew the complaint got hung up in the Justice Department, but having somebody like her can get answers,” Butler said. State Rep. Mindi Messmer, who is also running for Shea-Porter’s seat in the primary, co-sponsored legislation about the accreditation of the Secure Psychiatric Unit that passed the House and Senate in a watered-down form. Instead of requiring accreditation of the unit as a psychiatric hospital as initially proposed, the legislation now says it must be accredited as a prison behavioral unit. The state says anywhere from three to 10 women can be housed at the men’s prison Secure Psychiatric Unit. Cushing said he’s noticed a changing attitude in Concord, but doesn’t want to get people’s hopes up. “I think there is a lot of public attention,” Cushing said. He mentioned the march held by human rights activists and Andrew Butler’s family and friends last week and more press coverage as helping bring about possible change.